Start with a goal, then make a plan. Every great decision tree begins with a goal; figuring out what exactly what you want to accomplish with your Zingtrees. Is the purpose to guide employees through training or customers through a troubleshooting process? Help navigate patients through enrollment or students select a program? No matter the purpose, it’s important to identify right off the bat – from there, you’ll better be able to break down a plan of action. Putting an outline together will make building and connecting your nodes much easier and more efficient. Use the method that works best for your needs. Designer: Visually map out your decision tree to generate each node, along with their connections, and anticipate navigational flow. 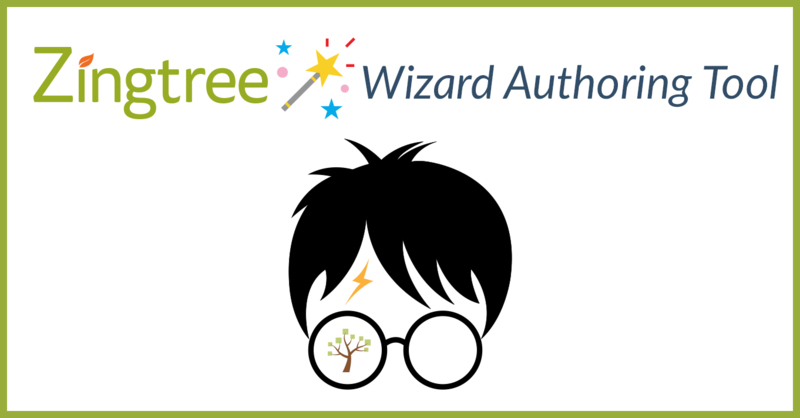 Wizard: Fill out simple forms that provide the questions, answers and messaging for your tree, as well as prompt for more in-depth information. 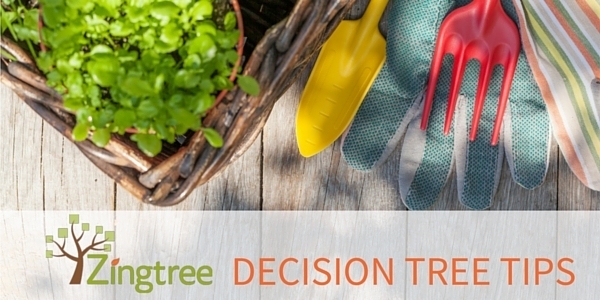 Overview: Start your decision tree completely from scratch (for the more experienced or adventurous!). Writing and phrasing are incredibly important. Think very carefully about what you need to communicate to your user before drafting the first round of content. When writing out your message, keep things concise so as to not confuse your user; if they can’t understand what your nodes are asking, they certainly won’t be able to move forward. Consider inserting your own company or organization’s personality into the mix, too. Is your brand fun and light-hearted? Professional and cordial? Keeping your writing in line with your own company “tone” is a great way to extend the brand right into your decision trees. Get feedback and continue to improve. For Call Center usage, we built a handy feature that can be embedded into every decision tree allowing you to gather feedback directly from your support agents. With Zingtree comment bubbles integrated into every page, your agents can quickly and easily send you notes regarding the process so you can continually improve your decision trees. .
We love hearing about tricks and tips for getting started with Zingtree. Please share yours over on our Facebook page!